You can go to one of the local flower shops in Indiana for your wedding flowers or you can go to the experts at Lilly Lane for expertly designed décor. 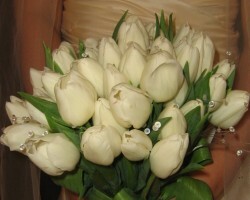 This company can design the entire event or focus on the flowers that will be surrounding you and your guests. In either case you will be treated to a consultation and sketches of possible decoration before choosing which flowers and which arrangements are right for your occasion. Reviews of this company rave about their attention to detail and their clients. Since 2002, Watts Blooming has been offering everything from local flowers delivery in Indianapolis to custom arrangements for special occasions in the area. The artists and designers at this company go above and beyond to ensure that each of their bouquets is unique. 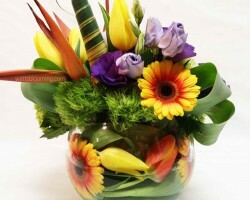 They are able to achieve this by having a wide variety of flowers in a huge range of colors. They make sure each blossom they choose is as fresh as possible to guarantee you are getting the best quality products at affordable rates. CK Designs Indy is not your average florists in Indianapolis, IN. This company offers completely custom floral design that is personalized to your venue, your setting, the theme colors and your style. With over 30 years of experience, you can trust that this team will use their creativity and talents to create beautiful decorations to surround you and a unique bouquet for you to carry down the aisle. You can set up an appointment to discuss the specifics with one of the experts to ensure great results. There is nothing that makes a wedding feel more romantic and special than being surrounded by flowers and floral décor from Kendra’s Floral Kreations. 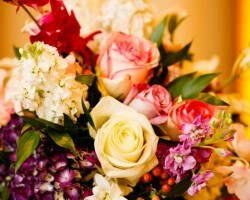 When you work with this Indianapolis florist for your wedding day arrangements, they will always offer you high quality blooms and great customer service. They will do everything possible to make sure you are 100% satisfied with the collaboration and with the final results of their work. Whatever this company can do to personalize your flowers or make the service more convenient, they will be doing. 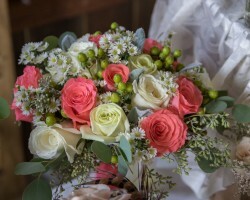 For over 20 years Tin Barn Flowers has been specializing in floral design for weddings. When you have a consultation with these professionals you will be asked about your dream wedding and your favourite flowers. The experts will offer their advice and come up with some designs for you to choose from. This can include wedding flowers for the tables, for the corsages and every other aspect of the ceremony that you can think of. You can always expect personalized care and attention to detail from this team.